“The garden of Villa Lontana was conceived in 1600 as a series of open and enclosed spaces. The open spaces create a vista containing ancient and immensely tall cypresses and pinus pinea, also known as parasol pine or umbrella pine. These are a symbol of Rome. They are indigenous to the Mediterranean area. There are also three cedars from the Lebanon. The seeds of these trees were planted in the garden in the 1600s. Other trees in the garden are lemon, pomegranate, camphor, locust and plum. The varying height of the trees creates rhythmic relationship with the Villa and with the sky. It is easy to see how Poussin responded to the light and shape of the surrounding landscape of Ponte Milvio. The open plan spaces of the garden are framed by low level boxwood hedges. These lead to enclosed spaces defined by tall hedges of laurel through which one crosses a threshold to enter. To walk through the garden is to experience a series of openings. The conceptual paradigm of an archeological pavilion frames the curatorial thinking of this exhibition. The archeological pavilion is an armature for the brain in the site of excavation. Its temporary, three dimensional form provides shelter for reflection. It is where planning occurs and the artefacts are measured and recorded. Layers of history come together and overlap within the garden of Villa Lontana. Sculptures from different eras are situated here. 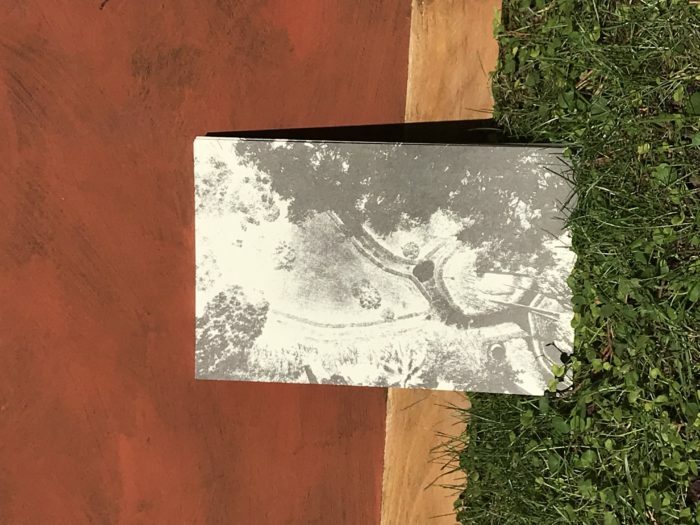 Bringing contemporary works which engage with duration, narrative and history into a dialogue with the garden animates our experience of the artefacts present in it. This plays with our perception of the past and its presentness. 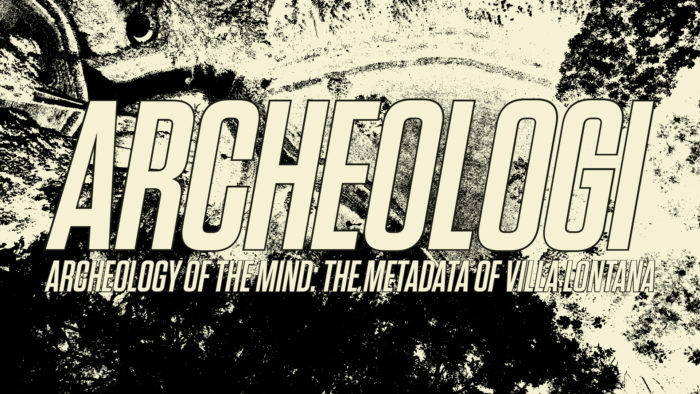 To ask where and when the metadata of Villa Lontana begins is to set in motion streams of interconnected threads of histories. Water like air constantly flows. It is inside our bodies, it is our connection to the earth’s atmosphere. The well is a Venetian ‘vera da pozzo’ from 1700s. It is a point of entry into the earth. Water is life, metaphorically and literally. It flows between connecting points, it drills through layers of soil and rock replicating the way our minds process and understand experience. The roots from the trees which we don’t see also descend almost as low as the trees are high. This is similar to the way we experience what we don’t yet understand. A Roman necropolis of more than one hundred sixty tombs dating back to the first half of the I century BC has recently been rediscovered along the ancient via Cassia—today this is the site of Villa Lontana’s garage.